Introducing the debut worship album from the forefront of Chicagos Harvest Bible Chapel  Vertical Church Music. Music for gathered Christians, this album has 13 tracks each geared towards congregational worship that embodies praise and adoration. With a modern, textured sound, Vertical Church Music offer online help to recreate the worshipful sounds that are appropriate to your church. Featuring Grammy award-winner Heather Headley, who sings the worshipful remix of the Lords Prayer, All Glory. Also boasting many talented worship leader, home-grown from there many churches. Harvest Bible Chapel has 50 churches in the USA and another 37 around the world. They are among the fasting growing churches in the USA and are making exciting advancements in the kingdom. Live Worship From Vertical Church by Vertical Church Music was published by Provident Integrity Europe in August 2012 and is our 21827th best seller. The ISBN for Live Worship From Vertical Church is 602341016520. 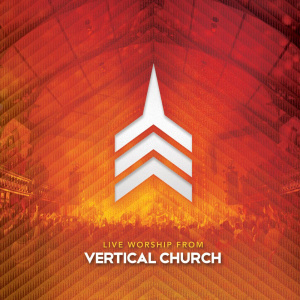 Be the first to review Live Worship From Vertical Church ! Take a peek at some articles related to Live Worship From Vertical Church . Got a question? No problem! Just click here to ask us about Live Worship From Vertical Church . Now Playing: Open Up The Heavens Your browser does not support the audio element.